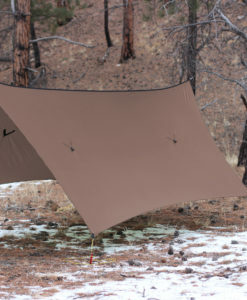 The Door kit allows you to add extra protection to the Edge, Mamajamaba, and Cloudburst tarps. 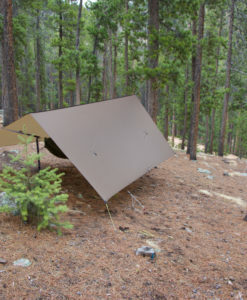 Simply use the included elastic cord and plastic hooks to attach the door kit to the tarp to close off the ends of the a-frame when you need extra end-coverage. 20D 2000mm NeverMist™ Silpoly: 7oz. Check out our “Door kit setup” video in our video section. 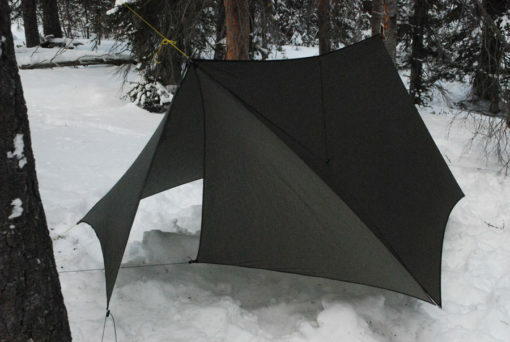 This past weekend (02-01/2014) I was able to try out my new WBBB hammock and Mambajamba tarp with door kit. 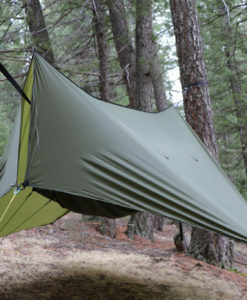 I found the tarp to be extremely roomy, which was nice given the inclinate weather I was faced with. The side shelter tie-downs were great given a direct wind at approximately 25 mph battered the shelter. From early evening till morning, the rain was persistent, but the area beneath the tarp stayed dry, which allowed me to cook, and pack up in dry conditions. 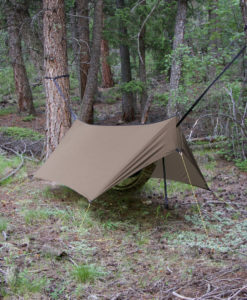 The last piece to be taken down was the tarp with door kit, which was a snap using custom snake skins by MountainGoatGear.com. Needless to say, I enjoyed all my WBBB gear and will test it in snowy conditions this coming weekend. I highly recommend this product, and the service WBBB provides is phonominal.